Complete displacement of tooth out of socket. Primary teeth: Avulsed primary teeth should not be replanted because of the potential for subsequent damage to developing permanent tooth germs. Permanent teeth: Replant as soon as possible and then stabilize the replanted tooth in its anatomically correct location. Flexible splinting for 2 weeks is indicated. Tetanus prophylaxis and antibiotic coverage should be considered. 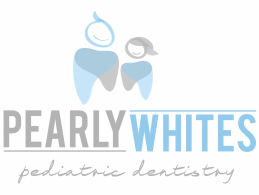 Prognosis in the permanent dentition is primarily dependent upon formation of root development and extraoral dry time. The tooth has the best prognosis if replanted immediately. If the tooth cannot be replanted within 5 minutes, it should be stored in a medium that will help maintain vitality of the periodontal ligament fibers. The best (ie, physiologic) transportation media for avulsed teeth include (in order of preference) Viaspan™, Hank’s Balanced Salt Solution (tissue culture medium), and cold milk. Next best would be a non-physiologic medium such as saliva (buccal vestibule), physiologic saline, or water. Although water is detrimental to cell viability it is a better choice than dry Storage.